The growth of more powerful and efficient IT systems allows running real-time critical software applications that in the past required dedicated hardware systems and a variety of interfaces for their management. 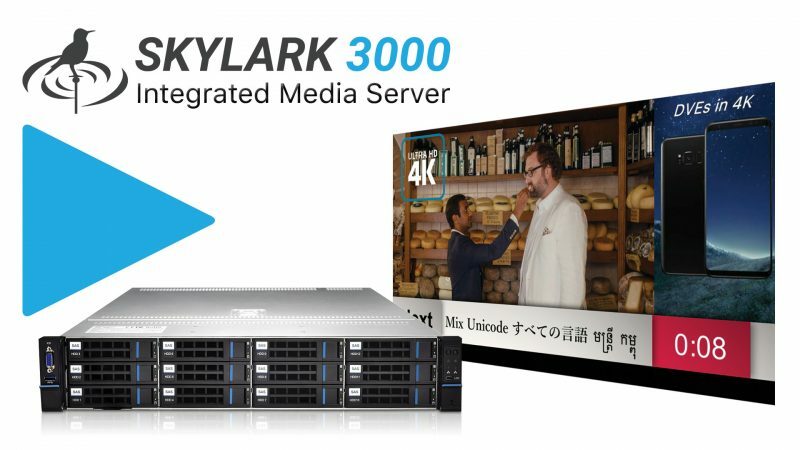 SKYLARK 3000 Integrated Playout with SDI/ASI/IPTS options and outstanding automation, provides a unified management and transcoding solution that increases efficiency while reduces complexity. 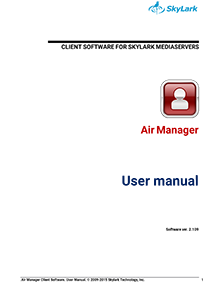 SKYLARK 3000 is a powerful solution used worldwide by media companies from small, single-channel, to very large, multichannel environments and master control operations. It combines MCR automation, media file server, transcoder, storage and advanced channel branding in an entirely software-based environment. Simplify the creation and management of channels and extend your brands and content with more freedom, visibility, and control while lowering costs and generating revenue services to grow your business. Multiple channels can be launched quickly and easily, due to streamlined product integrations. SDI, DVB-ASI SPTS/MPTS, IP UDP / RTP MPEG- 2/Н.264/H.265 TS. Scheduled and manual ingests from SDI, IPTS, and DVB-ASI sources. Import a broad range of SD, HD and UHD file formats, including P2 and SxS card support. Loudness Control, EBU/R128 Normalize or custom offset levels on the I/O signals. Export the files being recorded in real-time to an external NAS for editing or to other media server storage for redundant schemes. 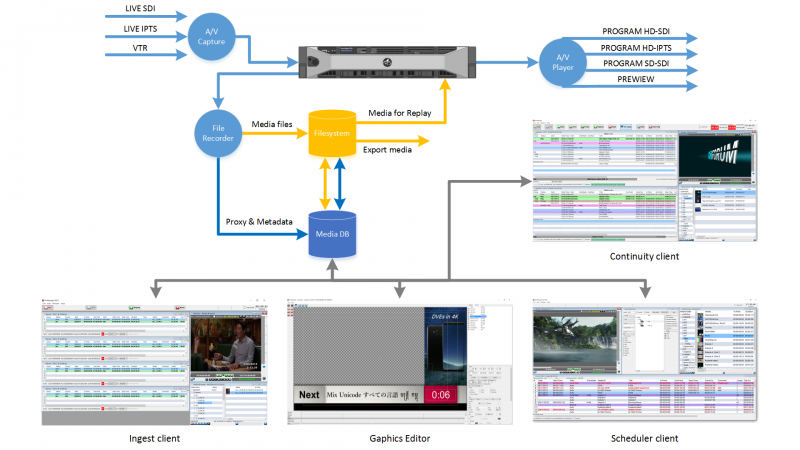 Broad range support of devices such as A/V routers, VTRs or subtitling systems. SCTE-35/104, cue-tones and GPI/O reception and generation option. 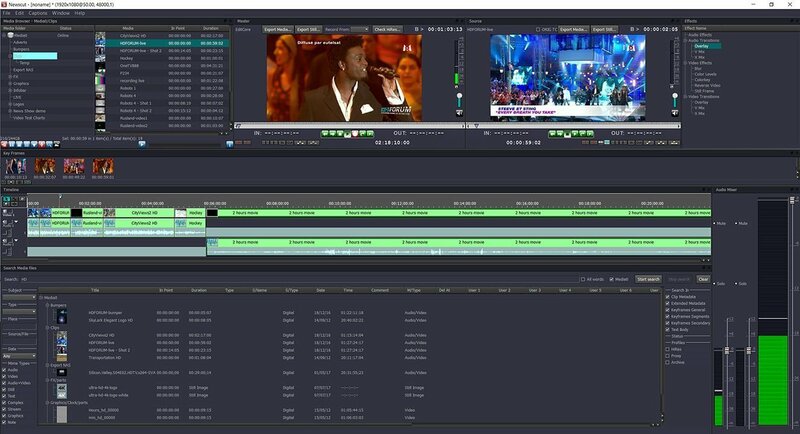 Trimming of media in the playlist or advanced low-res editing for last minute On-Air publishing or censor. 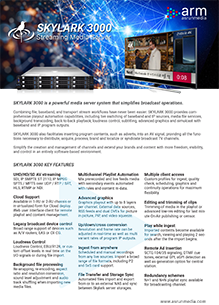 Client applications can be configured for ingest, QC, scheduling, graphics editing and continuity operations for maximum flexibility. Re-wrapping, re-encoding, aspect ratio and resolution conversion, sound level normalization and audio track shuffling policies may be set to process in the background during file import. Imported contents become available for search, viewing and playing 2 seconds after the beginning of the import. Resolution and frame rate can be adjusted in real-time to the defined value in the output format. Manual and automated graphics playout with up to 8 layers per channel. External data sources, RSS feeds and dual DVEs for picture in picture, PiP, and video squeeze. CEA 608/708 closed captions and Teletext support. N+1 and N+N redundancy available for recording and broadcasting channels with synchronization. Audio Processing 16, 20, or 24-bit PCM, 48kHz. ГBroadcast I/O depends on license and hardware configurations. 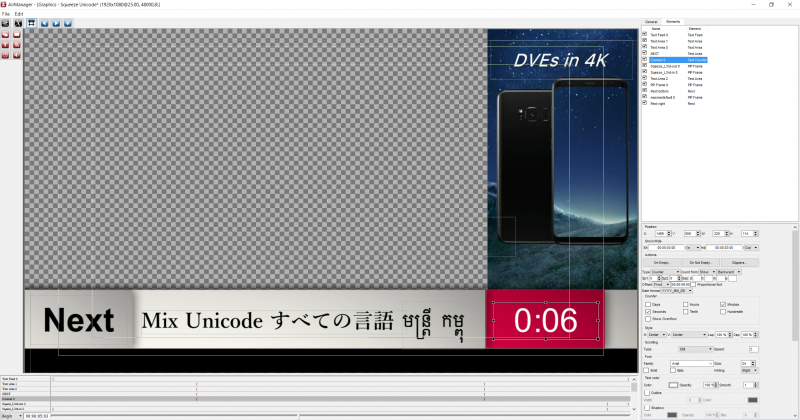 1Only available in UHD configurations. 2Depending on video board support of ancillary data.